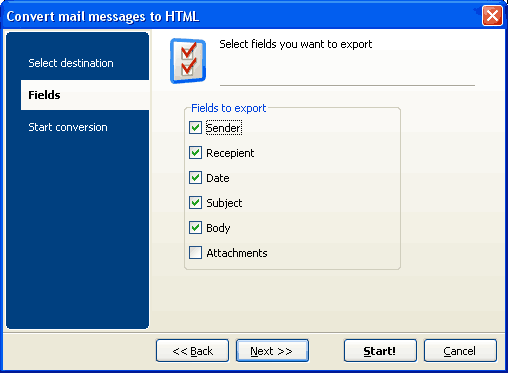 If you are running Outlook Express or Mozilla Thunderbird mail clients, your email messages are stored in EML format. Files of this format are not editable in text exports and viewing them outside mail client is almost impossible without additional software. One of the suitable solutions is to convert EML to HTML format viewable in any web browser. To do this fast you will need EML to HTML command line converter that works from the command line and requires very little efforts for handling it. 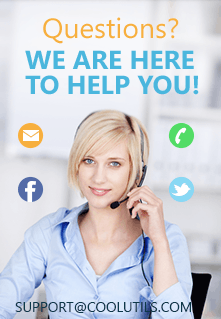 The best of such solutions is Total Mail ConverterX. This software is installed on Windows web-server and can be a multi-user application. Standard license is provided per server. The app has no GUI, no interrupting messages, the error are written to the log file. 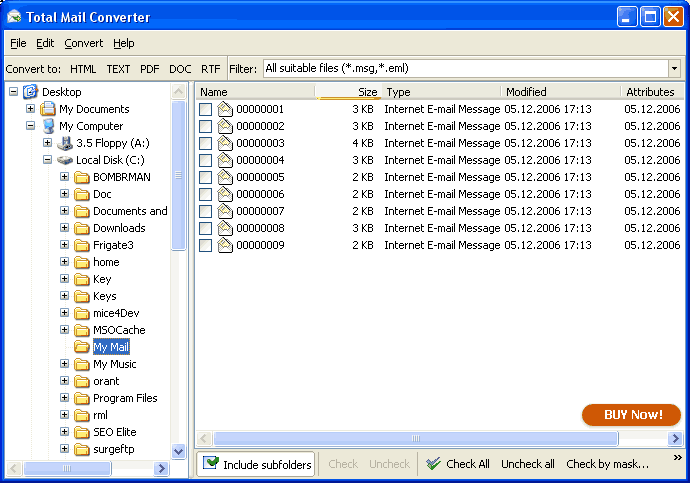 Total Mail Converter X makes the functionality of the desktop Total Mail Converter available for wider choice of applications, as it can be integrated with the help of ActiveX to other applications or web services. Automatic conversion of all coming emails (you will additionally need Total Folder Monitor). Get your copy now, it's quite affordable! The price includes 1 year of free majow upgrades. The license does not expire, you may use your copy as long as you want. There are no additional charges or hidden fees.